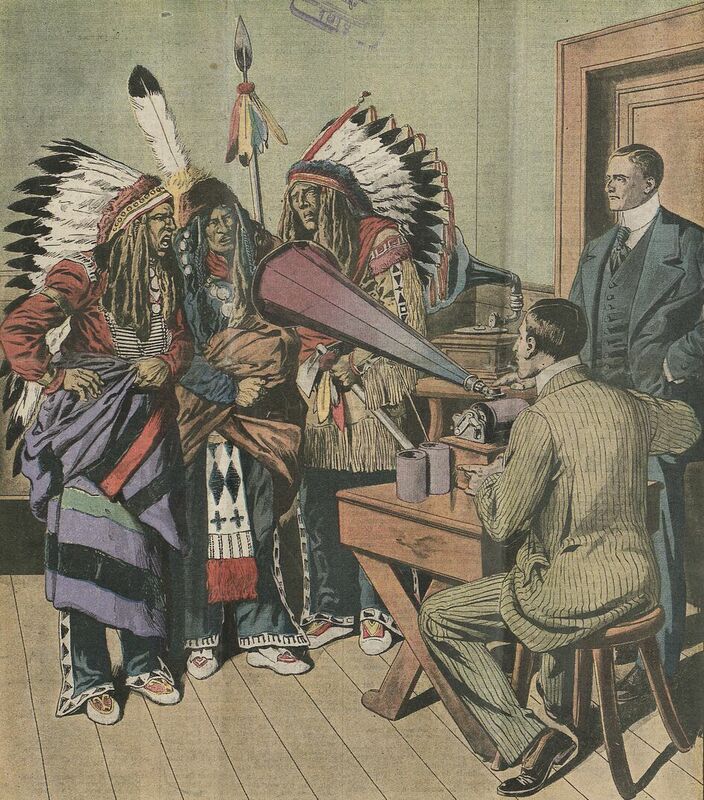 Canadian American composer, singer and music professor Geoffrey O’Hara (1882-1967) recording Navajo Indians on wax cylinders. Illustrations taken from French newspaper Le Petit Journal dated May 25th, 1913. Source: Gallica. The recordings can be heard on the website of Beinecke Rare Book & Manuscript Library (Yale University).